In as little as one day you can have a fresh new look in your bathroom. Using proprietary installation procedures and state-of-the-art products not available in big box stores, we offer unique solutions to beautify and enhance your bathing space. We proudly offer quality remodeling services at competitive prices with a warranty that can’t be beat! We bring our remodeling expertise to every residential and commercial project we take on. We offer a variety of solutions for bathroom renovations including custom bathwall and enclosure systems, new bathtubs or tub to shower conversion, walk-in bathtubs. We truly offer all possible solutions, and you can choose which option fits your particular situation, home style, and budget. 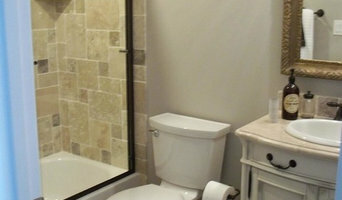 Our bathroom remodeling professionals are always clean, on time and on budget. Call or contact us online today for your FREE estimate! Dwellify - the new way to remodel. We have been in the remodel business for years - under Aspire Design. Like our homes we were ready for a remodel and have added to our platform of extensive services a friendly mobile app that allows you to stay in the loop for the full length of your project easier. Dwellify is a one-stop-shop for remodels, what does that mean? We have a team of designers that will create a new layout for your space to meet your needs, our own partnerships with manufactures so supplies are delivered right to your door, and our installation team managed by our coordinators - meaning your home remodel stays on schedule. Our services include, but are not limited to, layout creation and design, flooring installation, cabinet installation, countertop installation, plumbing, appliance upgrades, lighting, painting, and trim. Stone Ridge Cabinets specializes in creating quality and affordable cabinetry that is both beautiful and functional. We can design and build anything to fit your needs. Whether you want to start fresh with an all new custom look, or spice up your existing cabinetry, Stone Ridge Cabinets will help you make your home timeless. Stone Ridge Cabinets is located in South Jordan, Utah, and can come to you for all your cabinetry needs. Let us make your cabinets work for you! Builders Choice™ Is a premier construction & remodeling company that was founded in 1984 under the strong belief of the importance of honesty and integrity. The utmost care will be taken in the preparation of your estimate. If you should have any questions or changes, please don't hesitate to call. We will be more than happy to make any appropriate changes you wish. With every project, proper design and esthetics will be followed to assure the best possible outcome, whether it's a room addition, kitchen or simple remodeling job. Our sincere thanks for the opportunity to bid on your future projects. Weathers Construction is a local Utah company in Salt Lake City and the Salt Lake Valley. We can help you with your construction needs anywhere from southern Davis County to northern Utah County and anywhere in between. When you need a company that has years of experience that will do what you want them to do you can rely on Weathers Construction. Weathers Construction has been meeting the construction needs of the Salt Lake area for almost thirty years. And that means almost thirty years of experience goes into every job they do. Our Team at Half Priced Granite has worked hard in the Building Industry for over 50 years to create a reputation of excellence in every way. We buy direct from the Quarry and Pre-fabricate and finish thousands of these beautiful Countertops in bulk. This allows our customers to be able to afford the rich beauty and elegance of Granite anywhere they choose, because the cost is so much lower than anywhere else. At Bigelow Design & Remodel, we know how much the look and feel of your home can effect its order and functionality. We give our customers what they are looking for because we take the time to understand what they want in a dream home. With over 30 years of home remodel experience, we can offer suggestions to make your dream a reality. 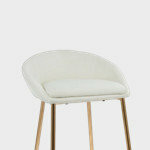 We provide high quality workmanship and superior service. At Bigelow Design & Remodel, we make sure every detail is matched to your exact specifications. Contact us to get started on your project! 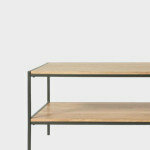 CW Designs is a custom cabinet company. We design build and install all types of cabinetry including kitchens, bathroom vanities, offices and entertainment centers. CW Designs is dedicated to bringing customized beauty into your home. As a custom cabinet company we pride ourselves in being able to create the perfect product, designed to meet your specific needs in a beautiful and personalized way. 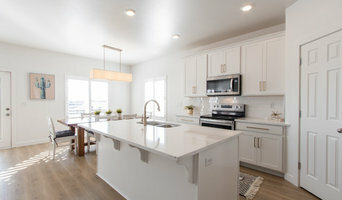 If you are looking for unique help in designing your dream kitchen come visit us. At DiYanni Remodeling, we listen carefully & create something for you that will enhance your lifestyle and add comfort to your style of living. When it comes to elegant kitchens and baths we take pride in our work. Our commitment to excellence shows in all of our jobs. From the initial meeting with our award winning design team, to the finishing details upon completion, it’s evident that our focus is always our client. We consider it a privilege to be a part of making your dream a reality, and will make it our priority to ensure that the remodeling process is an enjoyable experience. Experience The Difference. 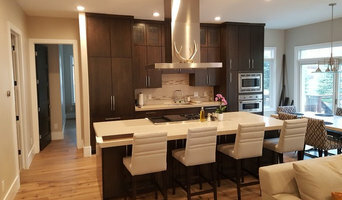 For over 25 years Yamashita Design, a family owned and operated business, has been designing and installing quality, custom kitchen and bathroom cabinets and counter tops. Whether you are remodeling or beginning new construction, we have the reputation and the experience to get the job done in a timely manner, while remaining focused on providing a quality product. Based on our commitment to excellence and client service we have established a reputation of quality and expertise. 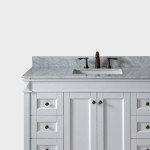 Yamashita Design carries a large variety of quality, custom cabinet door styles, wood species, stains, colors and trims. We also provide a large selection of granite, solid surfaces and Formica counter tops. Please contact our office for a free estimate, bid and/or project layout. We have been making homes beautiful for over 29 years. Our work stands out because we take pride in our work and in our company. 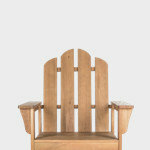 North American Construction also known as NAC Home Remodeling is a licensed and insured company. Not only do we have many repeat customers, these customers also are not hesitant to refer family and friends. We are rated Best of 2015 and 2016 on Thumbtack. North American Construction has 26 years experience as a general contractor. We stand out because we care about our customers. We would love to take a look at your project. We are the preferred contractor for City Wide Mortgage in Sandy, UT. We are partnering with them to help our customers take advantage of the FHA 203 K loan. North American Construction is a employee owned and operated company. The services we offer, we stand behind. We believe choosing the right contractor is a very important key to a successful project. We help our clients from start to finish. Most of our customers hear about us because of our outstanding work from customers we have worked with. We understand everyone’s budget is not the same just as no house is the same. We work hand and hand Citywide mortgage to help our customers apply for financing. We also work with GE Capital Financial. Need help with financing. Citywide Home Loans is a great place to get all your questions answered. We can help get you started with Quinn Richins marketing director at Citywide Home Loans. We have a video that talks briefly about the available loans that are out there. Clicking the link on the side of our page it takes your directly to Quinn’s Page, there you will be able to connect with him. Helping each other turn your dreams into reality. What does a Lindon kitchen and bath remodeling expert do? 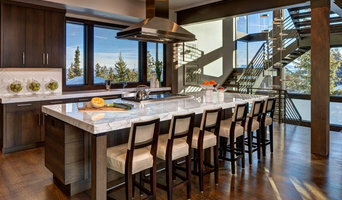 Licensed Utah kitchen and bath remodelers are contractors who specialize in altering the structure of an existing space, rather than building one from the ground up. Because he or she must deal with a previous builder’s work, the job can get more complicated than new construction. You might wonder why they often specialize in both kitchens and bathrooms, but if you think about those two spaces, they actually have a lot in common. Kitchens and bathrooms include an abundance of fixtures that require careful planning and installation, including sinks, faucets, tubs and toilets that all need water hookups and drainage. They also use similar materials, such as tile and stone for countertops and flooring, due to the nature of their use. So it makes sense that Lindon kitchen remodelers and bathroom remodelers be one in the same. A bathroom or kitchen remodeler translates architectural plans from page to reality; some are also trained to provide design services so that you don’t have to hire a separate pro. Like a general contractor, a kitchen and bathroom remodeler in Lindon, UT is responsible for hiring and supervising subcontractors and providing materials when necessary. They also should have a thorough knowledge of Utah building codes and construction-related legal issues, as well as current design and product trends. Here are some related professionals and vendors to complement the work of kitchen & bath remodelers: Woodworkers & Carpenters, Kitchen & Bath Designers, Interior Designers & Decorators, Architects & Building Designers, General Contractors. Find a Lindon kitchen and bathroom renovator on Houzz. Narrow your search in the Professionals section of the website to kitchen and bathroom remodelers in Lindon, UT. You may also look through photos of Lindon, UT spaces to find kitchens or bathrooms you like, then contact the bathroom or kitchen remodeler who worked on it.